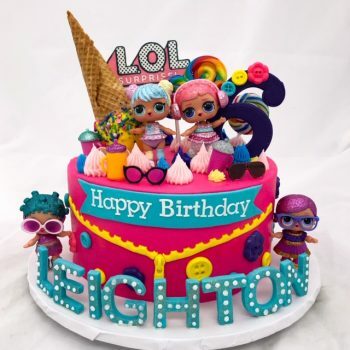 I don’t think there is anyone out there that won’t recognize the theme of this cake! The Wizard of Oz is a classic that has definitely stood the test of time. This 1939 film is a favorite of this birthday girl, so it became the theme of her 60th Birthday Party! 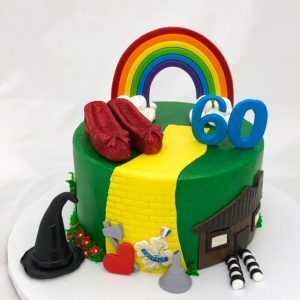 This cake included all the iconic elements of the film including the yellow brick road, witches hat and striped tights, ruby slippers and the rainbow, of course. Happy 60th!! © 2017 All Things Cake. All Rights Reserved.